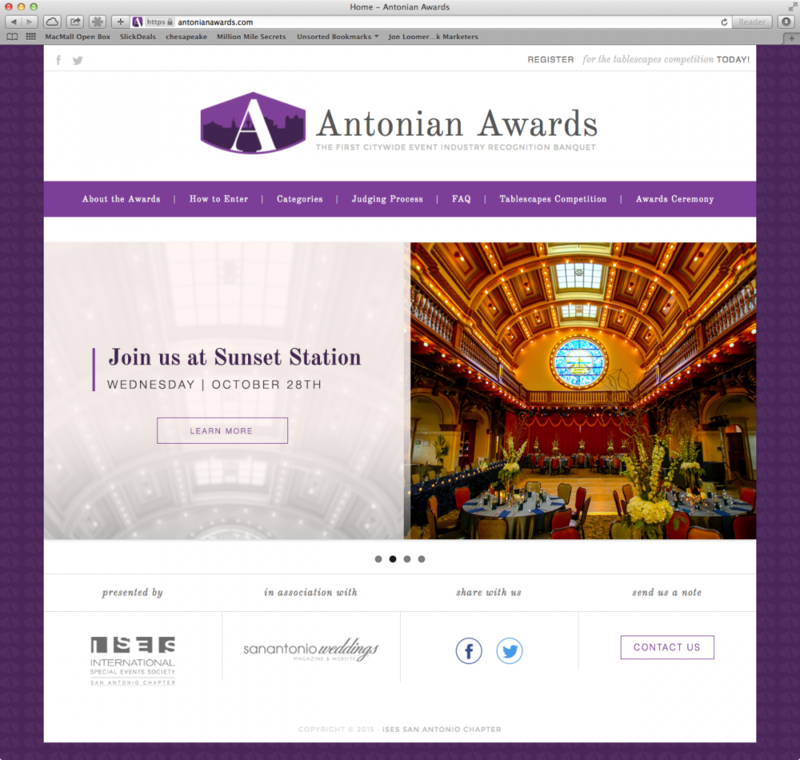 We built the Antonian Awards site to be a local version of a state-wide Award Event. This site was built with the Genesis framework, and was highly customized. An external designer put together some design changes to really make the site sing, and it shows in the final product. The heart of this website is the three page form that changes dynamically based on a category selection. The form makes it simple for applicants to enter the contest, upload photos, and add info about their entries. I also set up the SSL certificate on this site, and made sure that the entire site was built in HTTPS from the start, so there are no resources that will load insecurely on the site. This is of utmost importance for visitors who are submitting their information via a form on the internet. Aside from the SSL certificate, I also secured the site to lower the chances of a WordPress hacking.